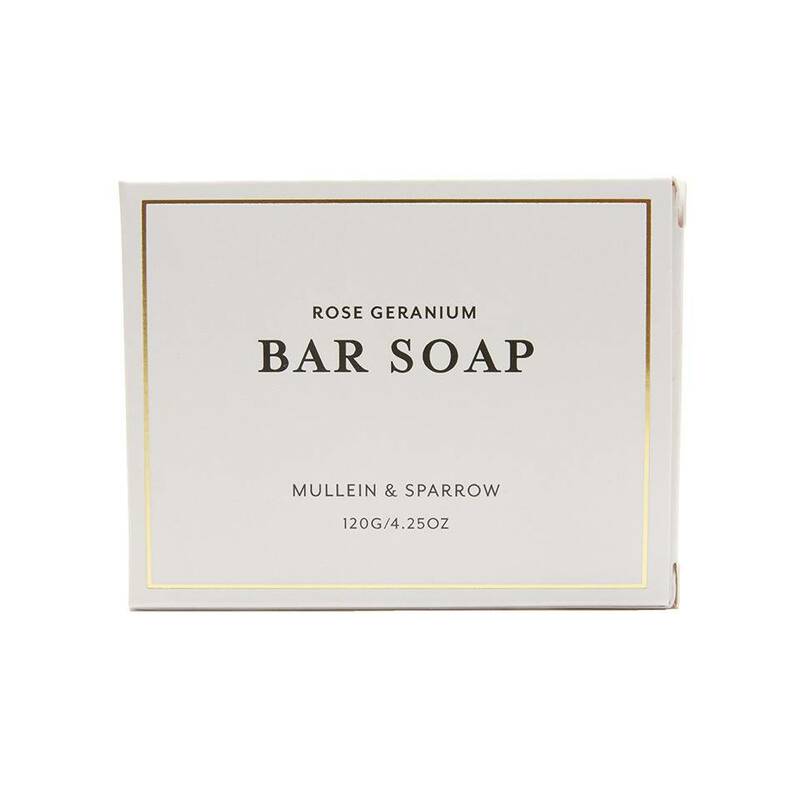 An elegant Rose Geranium Bar Soap featuring moisturizing shea butter to gently cleanse skin while leaving it soft and hydrated. Lather with water and apply generously to the hands and/or body. Rinse.